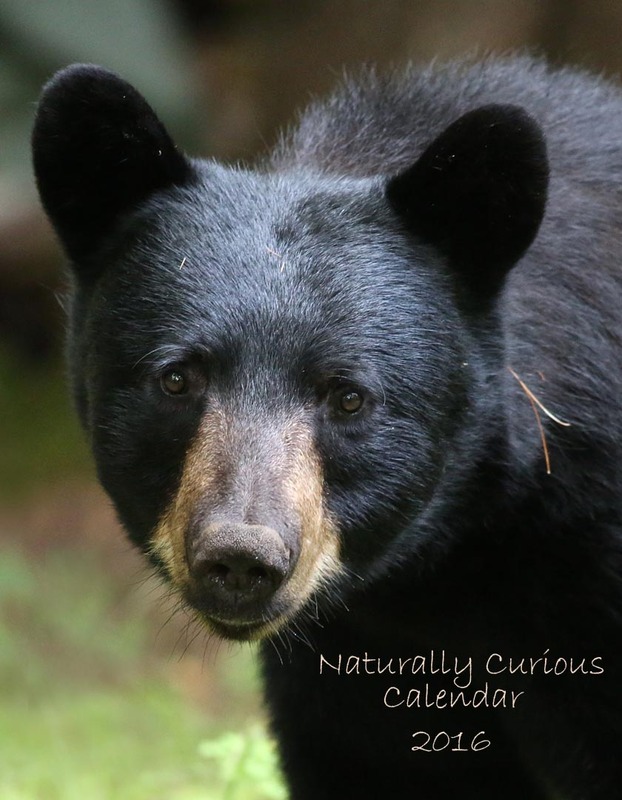 2016 Naturally Curious Calendar – Order Now! I am taking orders for the 2016 Naturally Curious calendar from today through the end of October. This fixed time is so that I can have an accurate count of how many I will need, and can order them early enough to definitely get them to you by Christmas. The monthly photographs (one per month) of these 11″ x 8″ wall-hanging calendars (11″ x 16″ when hanging) are the following: January-bobcat; February-snow buntings; March-red fox kit; April – beaver; May-fringed polygala; June–barred owl chicks; July-common loons; August-ruby-throated hummingbird; September-black swallowtail caterpillar; October-moose; November-black bear; December-bald eagle. The calendar, made out of thick card stock, sells for $30.00, which includes postage.